According to the Hydrogen Council, up to 18% of the world’s energy demand could be satisfied by mid-century through the use of hydrogen, with the emission-free fuel tipped to be a side-by-side competitor with electric technology. Toyota, along with 23 other multinationals, which includes Shell, Honda, General Motors, and China Energy, formed the Hydrogen Council in early 2017 to promote the new industry. On top of the 30 million jobs and 2.5 trillion dollars of revenue the Hydrogen Council predicts will be created by 2050, they say the environment will benefit to the tune of six gigatonnes less carbon dioxide being emitted into the atmosphere. As a comparison, it is reported that total annual emissions globally from fossil fuel is estimated at 36 gigatonnes. Proof of concept is already running in the form of hydrogen-powered Toyota Mirai cars, which have been marketed by the company since 2014. 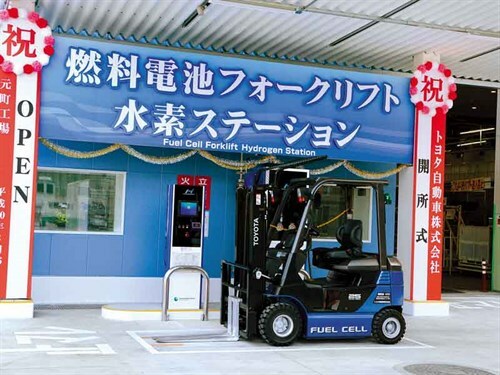 The industrial side is also being addressed with 22 Toyota fuel cell forklifts now operating at its Motomachi Plant in Japan, where a dedicated on-site hydrogen filling station is located. 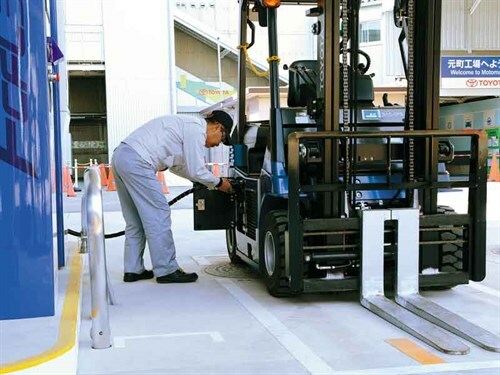 The company predicts it will have up to 180 forklifts working in the plant by 2020.Toyota says the forklifts utilise hydrogen to generate electricity and as they do not emit carbon dioxide or other harmful substances, demonstrate excellent environmental performance. 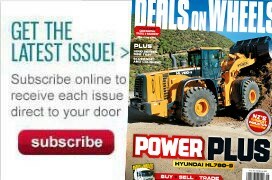 In the near future, hydrogen fuel cell technology is seen as a possible alternative to other forms of fuel for industrial machinery, given that refuelling time is quick, currently at around three minutes for the Toyota fuel cell forklifts. The Hydrogen Council says their priority in 2018 is to continue the rapid pace of development to "help make hydrogen an everyday reality".